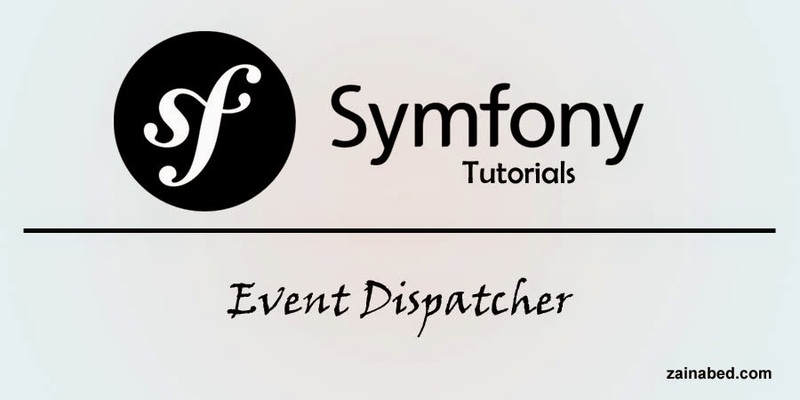 Symfony EventDispatcher is object which interacts with different set of objects when certain event happens. To illustrate Event Dispatcher definition let’s consider the online shopping website example. suppose you want to purchase a mobile from online shopping website , but unfortunately that mobile is out of stock. Then you subscribe into online shopping website for this mobile availability. When mobile comes in stock, online shopping website notifies you about mobile phone’s availability via email. online shopping website is Event Dispatcher. Symfony EventDispatcher works in same manner.for example, whenever there is HTTP request, Kernel creates a request object and it dispatches an event kernel.request. Whoever subscribes to kernel.request event gets notified. So here you might be having few questions in my mind. Event object describe what event is and add some additional information so that its listener or subscriber can get enough information about event. EventDispatcher is central object which dispatches the event to all its listener or subscriber. EventDispatcher maintains the list of all listeners of a particular Event. Listener is a object which performs a task whenever a associated event happens. But first we need to attach listener to Event Dispatcher for a particular event. Considering Online Shopping Store example let’s create a custom event and dispatch this event. Here we want to create mobile availability event which get dispatched whenever mobile is available. Later, create actual event object. This class wont give us enough information about mobile availability therefor we need to subclass it and add additional information. Later, create event listener, which sends emails to user regarding availability of the mobile phone. Now all is set, let’s attach this listener to the dispatcher. And dispatch the event. This is a every basic example, you can create event for user registration process and can send confirmation email via event listener or can do many things using Symfony Event Dispatcher. © 2015 Tutorials for AngularJs, Java, MongoDB All Rights Reserved.